Emergency first responder organization now offers trained midwives and OB-GYN nurses on call for unexpected home births. 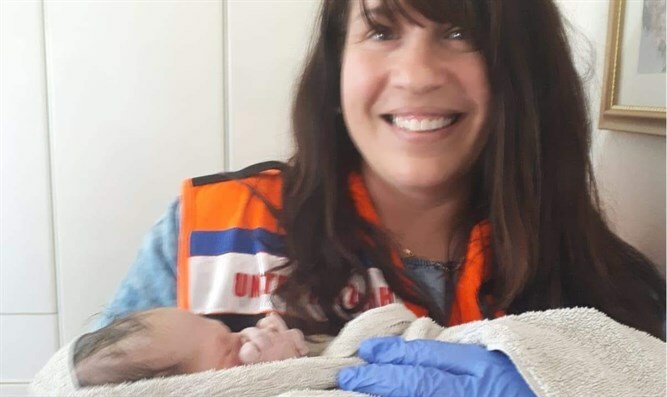 United Hatzalah of Israel has announced the opening of a new service division which will dispatch trained midwives and OB-GYN nurses to incidents of unexpected home births. Midwives and nurses who have joined the program will now be dispatched by United Hatzalah’s Dispatch and Command Center to assist birthing mothers in their deliveries should they not be able to travel to the hospital in time. Dr. Aryeh Jaffe who is an OB-GYN at Shaare Zedek Medical Center in Jerusalem and a United Hatzalah volunteer doctor, will be overseeing the program together with EMT, Gitty Beer who runs the women’s division of the organization. Dr. Jaffe explained where the idea for the new unit originated. Gitty Beer added that the program will be starting as a pilot project this coming week in Jerusalem, and from there will spread across the entire country. “Since we began advertising the new unit, we have had dozens of midwives and nurses join and will now be providing a response in Jerusalem and the surrounding area. Each new volunteer will receive an EMS birthing kit as well as an infant CPR kit that contains all of the medical equipment that is needed to properly assist in a delivery and maintain the health of both the mother and the infant should an emergency arise during delivery. Our Dispatch and Command Center will now send the new volunteers alerts to their phone of birthing incidents in their vicinity based on their GPS location via United Hatzalah’s emergency responder application."